An opposition lawmaker disagrees with Prime Minister Ralph Gonsalves that the public service commissioners cannot be removed because of the court ruling that they broke the rules when they overlooked five public servants for promotion. Speaking at a press conference of her New Democratic Party in Kingstown on Monday, Kay Bacchus-Baptiste, who, like Gonsalves, is a lawyer, referred to Section 77 of the Constitution. She said, “…I heard the prime minister on radio throwing his hands up and saying there is nothing he can do, more or less, because the Constitution enshrines the position and there is nothing he can do. The Public Service Union (PSU) has won a case it brought against the Public Service Commission (PSC) challenging its failure to promote five public servants, one of whom has remained stagnant in the service for 28 years, notwithstanding his improved academic qualification and the advancements of his trainees. Bacchus-Baptiste noted that the PSC, according to the Constitution, is appointed by the Governor General, acting on the advice of the prime minister. “So this Public Service Commission is his baby, the prime minister’s baby,” she said, but noted the proviso to consult with the Civil Service Association and, in relation to appointing “not less than one nor more than three other members” of the PSC, to consult with the Leader of the Opposition. “We know how Dr. Gonsalves does his consultation,” Bacchus-Baptiste said. Gonsalves has cited that section of the Constitution in explaining why the members of the PSC — who were reappointed last November for another two-year term, while the judgment was pending — cannot be removed. 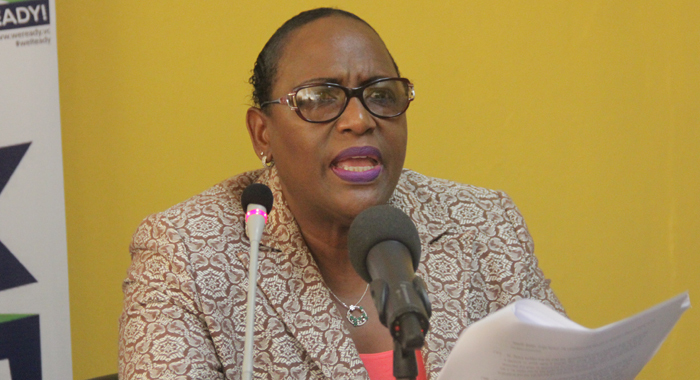 Bacchus-Baptiste said the section of the Constitution that speaks to “misbehaviour” of the members of the PSC puts a background to her call for the removal of the members of the commission. “I can think of no greater action of misbehaviour by this present commission. When we look at the judgment, I don’t see how they can escape that conclusion,” she said. The opposition lawmaker said the judgment “is a damning indictment on the absolute failure of the ULP government to ensure fairness and transparency and meritocracy in relation to the promotion of civil servants. 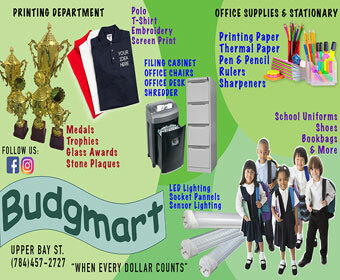 “Promotion provides a positive incentive and stimulus to an employee to aspire to greater heights in his chosen field. When it fails to materialise, it leads to apathy, frustration, demotivation, dissatisfaction, low morale and dysfunctionalism. This is particularly so when juniors are pitch-forked over their seniors without being given any reason for such action. Bacchus-Baptiste said that quotation “can apply verbatim to St. Vincent and the Grenadines. She said that based on the case cited by the judge, “it would be not be unreasonable in the absence of reasons for those bypassed for promotions to conclude that promotion is not based on merit but on some other factor. The senator said she does not make lightly her call for the PSC to be removed. Citing the affidavit by Cecil “Blazer” Williams, chair of the PSC, Bacchus-Baptiste noted that he told the court he is “very familiar” with the Public Service Regulations and claimed persons seeking to bring an action, as the claimant has proceeded to do, must do so with the requisite permission under the Civil Service Orders Rule 3.19. “So he is au fait with it to try to stop the persons who brought his action to court by saying that they need to get permission from the civil service but, by analogy, it means that he is au fait with the entire Public Service Regulations,” she said. The court had earlier ruled that the public servants did not need the permission of the PSC to sue the PSC, thereby allowing the case to go to trial. She said she did not want persons to get the impression that the commissioners’ appointment “is made in stone and they cannot be removed. Despite what Ralph and his cronies may say we all know that all things SVG begins and ends with the Ralph Gonsalves family. Where to now for these family run regimes? Is Ralph now looking over his own shoulder like Maduro or are we Vincentians to dunce to want to effect change? As to the people of Venezuela they sure have become very impatient and restive! Well me boy, if SVG people can’t now see that the so called leader Ralph “DREGS” Gonsalves has long lost the way. I don’t know what to make of it anymore. If “they” win the upcoming election then we know for sure that it is rigged.